The Terada Honke brewery was founded in 1673 and they have recently returned to a very traditional method of brewing. All modern machinery has been done away with and natural, organic and handwork are the new keywords. 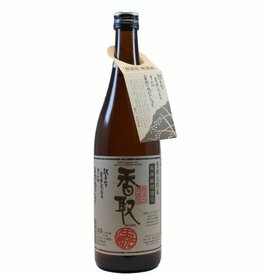 Accordingly Terada Honke is one of the very few breweries that does not use any cultivated yeast, relying solely on the natural yeast culture of their brewery. The entire production is fermented in the kimoto method where no lactic acid is added to the starter (moto). The rice used is organic. For some great pictures of sake-making at Terada Honke, click here.